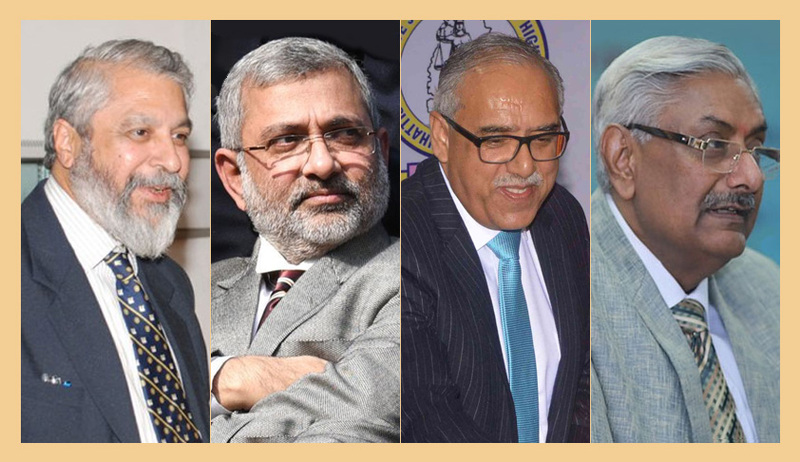 In an surprising order, a three judge bench of the Supreme Court headed by Justice Madan B. Lokur, has requested the other SC benches and the High Courts to not to deal with any cases relating to the interpretation of or concerning Section 24 of the Right to Fair Compensation and Transparency in Land Acquisition, Rehabilitation and Resettlement Act, 2013. By this order, the three judge bench, which also comprising of Justice Kurian Joseph and Justice Deepak Gupta has apparently stayed the judgment delivered by another 3 judge bench headed by Justice Arun Mishra. By 2:1 majority, the bench in Indore Development Authority Vs. Shailendra (Dead) Through Lrs. And Ors had held that the decision by three judge bench in Pune Municipal Corporation & Anr. v. Harakchand Misirimal Solanki , is per incuriam., observing that there is no lapse of acquisition due to the non-deposit of amount under the provisions of old and new Land Acquisition Acts. The Bench headed by Justice Lokur was hearing an SLP filed by the State of Haryana challenging the judgment and order dated 29th June, 2016 passed by the High Court of Punjab and Haryana in M/s. G.D. Goenka Tourism Corporation Limited & Anr. V. State of Haryana and Others. The State Counsel while arguing before the court relied on the Indore Development Authority case, and submitted before the Court that the issue involved is covered by the said judgment. It was then some senior counsel including Mukul Rohatgi, submitted that the decision in Indore Development Authority had unsettled a long standing statement of law and had very serious repercussions on land acquisition cases. He submitted before the Court that when a Bench of 3 learned Judges does not agree with the decision rendered by another Bench of 3 learned Judges, the appropriate course of action would be to refer the matter to a larger Bench. Referring to some decisions, he told the bench that 3 learned Judges cannot hold another decision rendered by a Bench of 3 learned Judges as per incuriam. He also said that some cases have already been decided on the basis of the judgment rendered in the case of Indore Development Authority, without the matter being referred to a larger Bench. Posting the matter to 7th March, the bench requested the concerned Benches dealing with similar matters to defer the hearing until a decision is rendered one way or the other on the issue whether the matter should be referred to larger Bench or not. Apart from anything else, deferring the consideration would avoid inconvenience to the litigating parties, whether it is the State or individuals, the bench said.